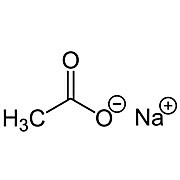 Sodium Acetate is a common molecular biology reagent. 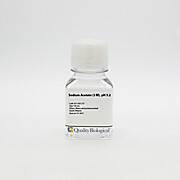 All production lots are tested to ensure that they are free of RNAse. 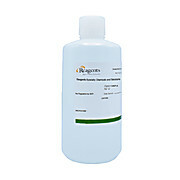 It is often used in buffer systems to maintain the pH of a given solution. 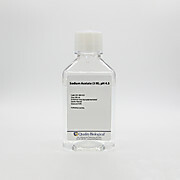 Sodium acetate stock solution (3 M, pH 5.2) contains a concentrated solution of filtered sodium acetate buffer. Buffered with Sodium Acetate in accordance with the A.F.I.P. manual of Histology. Filtered and ready-to-use. pH: pH 6.0 to ph 7.1 at 20°C. … CAS No. 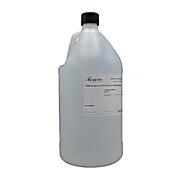 : 16674-78-5 Molecular Formula: Mg(C2H3O2)2·4H2O Molecular Weight: 214.46 MDL No. : MFCD00149214 Appearance: White crystals Comments: Buffer; detection of sodium. Density: 1.454 Melting Point: 80 ºC (Approx.) Storage Temperature: Store at RT Warnings: Hygroscopic!